There was a flight from Taiwan to Los Angeles that was diverted to Anchorage because one of the passengers gave birth to a baby. 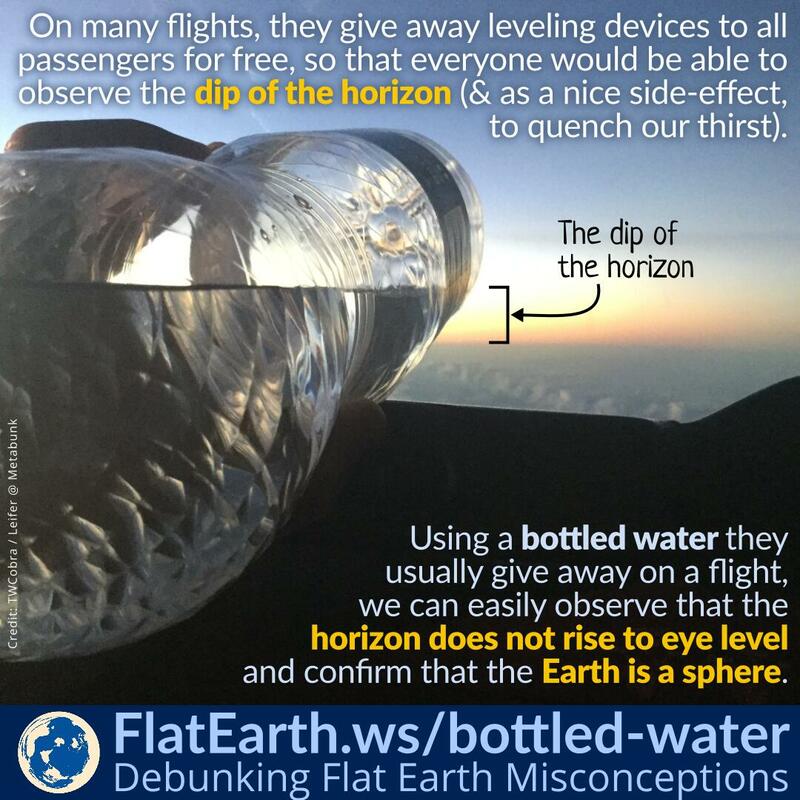 Flat-Earthers use the case as one of the first “evidence” from flight routes proving Earth is flat. 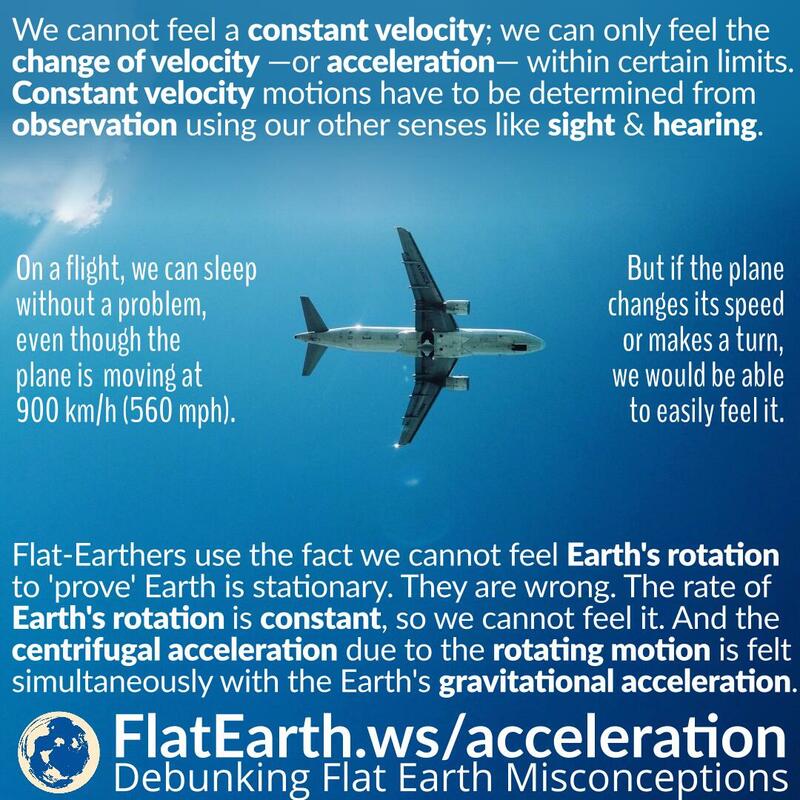 The perpetrators of flat-Earth often take emergency landings as ‘proof’ of a flat Earth. 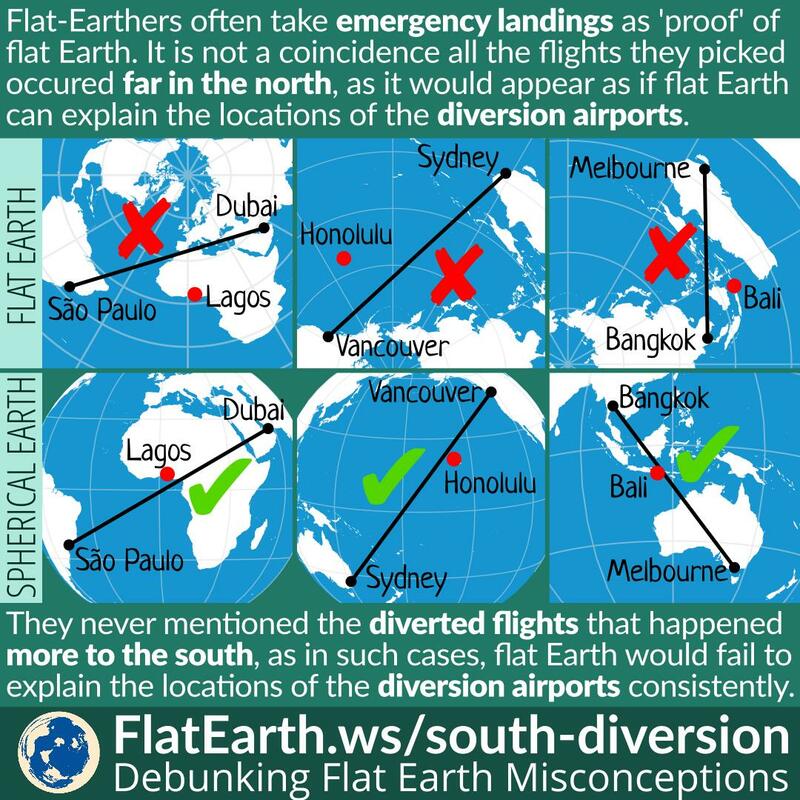 They would point out that the diversion airports used for such emergency landings are somehow consistent with the flat-Earth map. It is not a coincidence that all the cases of emergency landing they pointed out occurred far in the north. At the locations closer to the north pole, the distortion of the azimuthal-equidistant map (claimed by flat-Earthers as the ‘flat-Earth map’) diminishes. 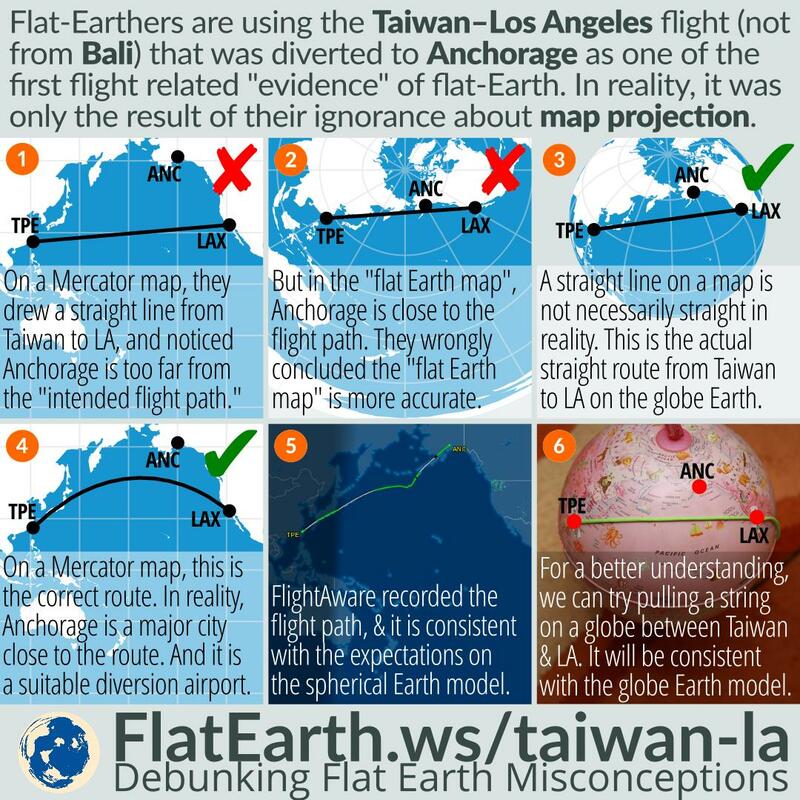 It would seemingly appear as if the ‘flat-Earth map’ can explain the choice of the diversion airports. In many other locations, though, the flat-Earth map would fail to explain it.